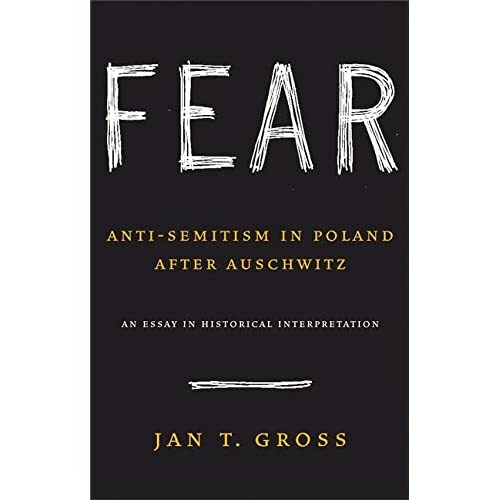 Review of Jan T. Gross, Fear: Anti-Semitism in Poland after Auschwitz. New York: Random House, 2006. 303 p. $25.95. Forthcoming in Shofar. In Fear, historian Jan Gross explores a seemingly baffling phenomenon. How is it that there was aggressive anti-Semitism in Poland, after the Holocaust? Today November 29 marks the passage of the 1947 United Nations General Assembly Resolution 181. By the deliberations of this body, historic Palestine, which had most recently been under a British Mandate, was to pass into two states, an Arab one comprising 44% of the land, and a Jewish one, receiving 56%. In the United States, many people are familiar with the Jewish, Zionist, and Israeli narrative. People often think of Israel as the guarantee of security for Jews worldwide, given anti-Semitism, which revealed a genocidal mania in Hitler’s Holocaust. The Zionist settlers were seen to “make the desert bloom” by their pluck and industry. Israel declared itself a state on May 14th, 1948, thus realizing David Ben-Gurion and the Zionists’ dream of Jewish independence in the land of biblical Israel. Subsequently, many American know the Israeli view that the Arab world wants to drive the Jews into the sea, all because they occupy this small slice of territory to which they have clung with devotion over the centuries. But there is another, more disturbing narrative that follows from the UN partition plan. While the partition presaged the birth of Israel, it was also the beginning of what the Palestinians have called al-nakba, “the catastrophe.” The Palestinians rejected the partition plan, as they could see that the drive for Jewish sovereignty in Palestinian Arab land would have severe effects on Palestinian life. This became terribly true from December 1947 onwards. Recently the United States Holocaust Memorial Museum in Washington, DC sponsored an unusual exhibit, “Darfur: Who Will Survive Today?” Photographic images of the genocide in Darfur are flashed to incredible size at night outside on the wall of the Museum. Even given the fast and furious pace of many who live in Washington, the exhibit may have raised some awareness, touched some hearts, and spurred willingness to get involved. A friend of mine who works on Darfur recently told me that “there are no easy answers” to the crisis there. She sees grave problems with advocacy of military intervention without resolute attention to a meaningful peace process. It seems to me that Darfur represents, for the U.S. government at least, a “benign” genocide, to adapt an idea from Edward Herman and Noam Chomsky’s books on contemporary bloodbaths, The Political Economy of Human Rights. Darfur doesn’t really affect primary elite U.S. interests and, thus, there appears to be no “Operation Darfur Freedom” in the works, reminiscent of President Bush’s drive to invade and “liberate” Iraq. Despite some occasional rhetoric from the president, the people are Darfur appear to be expendable. Perhaps such practical indifference on the part of the U.S. government influenced the Holocaust Museum to offer the photo exhibit. Back in 1978, it was President Jimmy Carter who started a President’s Commission on Remembering the Holocaust that would eventually give birth to Holocaust museum. In 1979, Carter addressed why such a project was necessary for us as Americans: “because we are humane people, concerned with the human rights of all peoples, we feel compelled to study the systematic destruction of the Jews so that we may seek to learn how to prevent such enormities from occurring in the future.” So, it is understandable that the Holocaust Museum would have a mandate to be concerned with calling attention to contemporary genocides and ethnic cleansings. Given the political economy of memory of the Holocaust Museum, one ought neither to expect that the Museum will host an exhibit on al-Nakba nor think that the Museum will invite Jimmy Carter to discuss his new book in which he speaks of Israeli apartheid in the occupied territories. Photos of the suffering in Darfur are acceptable; photos of Palestinians who have suffered ethnic cleansing and apartheid will be unacceptable and arouse outrage. Books speaking of the need for Israel’s security are praised; books addressing Palestinian insecurity at the hands of Israelis are de facto anti-Semitic. However, other institutions, civic groups, churches, and schools ought to sponsor such al-Nakba photo exhibits and invitations to Carter to speak a truth that many would just as soon forget or deny. The Holocaust Museum and its leaders like Elie Wiesel have been tireless in urging remembrance of the Holocaust and working against Holocaust denial. We ought also to be tireless in urging remembrance of the Palestinian Nakba and in working against Nakba denial as well.